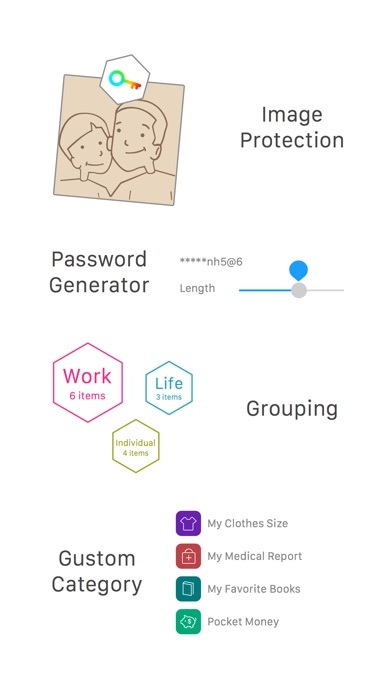 With Tiny Password, you don’t need to remember all the usernames, passwords, web addresses and those boring information in modern life. Tiny Password provides a safe and simple way to store and manage all your passwords and private information. It can save your credit card details, PINs, bank accounts, notes, web site logins…etc in a highly secure position. Tiny Password uses 256bit AES encryption to protect your passwords, accounts, credit cards and more. You can trust that no one else will have access to your most important information. 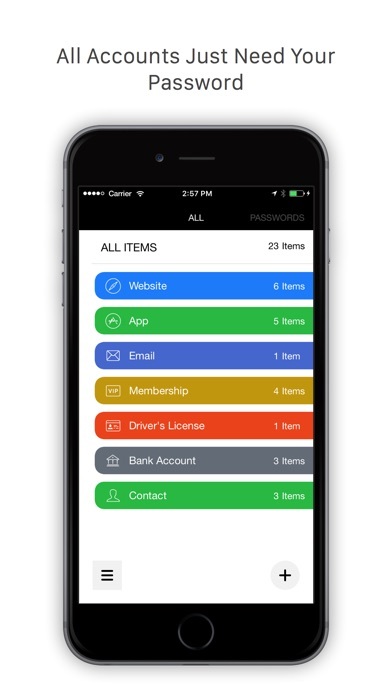 Secure: - Secure storage for passwords, usernames, PINs, credit cards and bank info. - Strong 256bit AES encryption. - Time-out locks to protect the app from prying eyes. 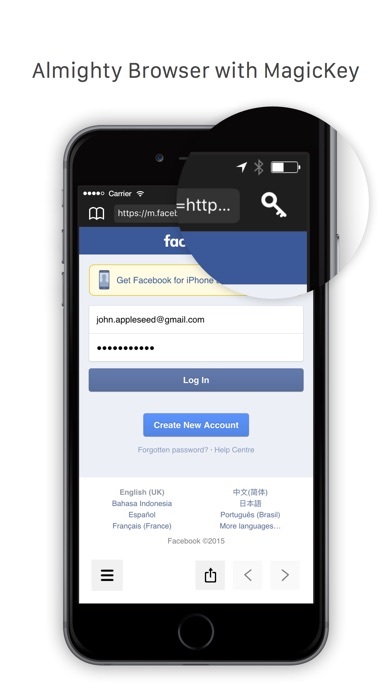 - Optional auto-lock protects your passwords from hackers. 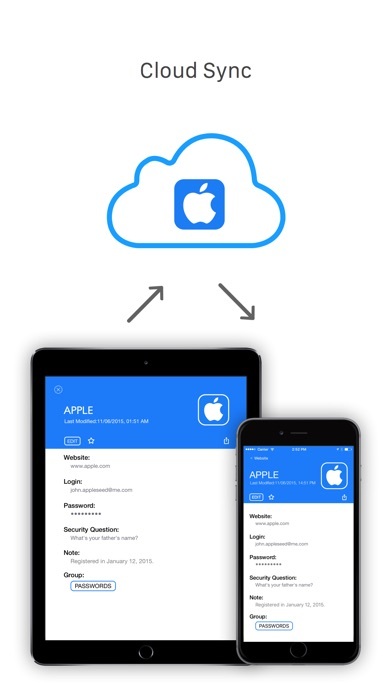 - Backup and restore data via Wi-Fi and Dropbox at anytime. Easy to use: - Standard templates for fast data entry. - Customize categories and all the details. - Mark any records as Favorite for quick access. - Provides search and sort to manage your records. - No limitation on the number of records. - Clean and nice interface. 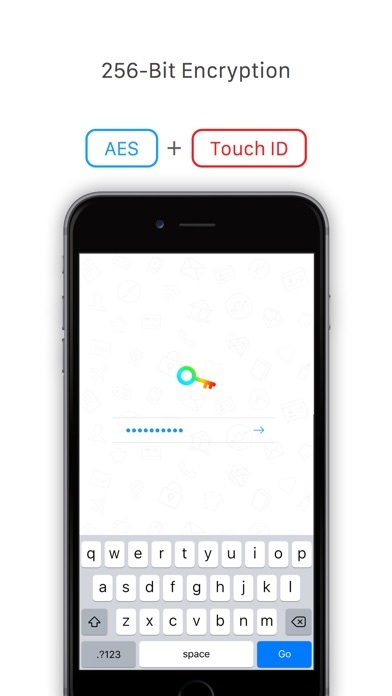 Get Tiny Password to manage your passwords right now. Please write to us before leaving negative reviews, as we can often help you’re your problem or help you better use this app. If you have any problems or suggestions please send a mail to onekey@appxy.com, and you will get the response with solutions in a short time. Are you planning to update it any time soon? As I can't stand loosing my data, since it looks like it wouldn't stay in the appstore for long time with the upcoming IOS Updates! LAST UPDATE WAS 3 YEARS AGO! Recently when I logged on, all my passwords disappeared. It was like a I was starting fresh. I contacted the developer/support several times and they have not responded. The whole point of this app is to keep your passwords safe, but instead the app itself lost them... and no one is willing to discuss and resolve the problem. Have been using this app for years it has well over 100 passwords and vital pieces of my personal info in it all accept for my “master password” of course. I have only an ipad pro and my iphone8+. Ive been using my fingerprint to open it so long that i just realized that i dont remember my Master Password to open it manually, i work construction and in the past I've had to change or update my fingerprint scans because of torn up fingers,cuts,abbrasions, construction adhesive all over my fingertips[PL400,and Gorilla Glue take days to wear off regardless of scrubbing which will alter and make inaccurate your fingerprint scan anyways ugh] i have never been able to sync the app to dropbox and I've been trying for years literally, on my phone to the app on my ipad pro either or had any luck putting in the wifi address to sync and backup. Now best part yet, it will not prompt me to reset my master password ??!! What kind of crap app doesnt prompt you or give you any way too reset your passwor especially an app that stores all your password i mean putting the password in it would be kind of silly no??? Classic Catch 22, and these people will not respond to my pleas for assistance or advice thats awesome ive trusted my most important and vital info to a developer who isn't smart enough to add a password reset feature and refuses to answer us common folk FRICKIN DONKEYS everyone in the 5 star feedacks obviously think because they havent run into a problem yet that its the best app on the planet wait till they lose 10 years of passwords and cant get a response MORE DONKEYS, DAG NABBIT IM SURROUNDED BY DONKEYBALLS!!! This use to be a great app but it no longer syncs with my Dropbox therefore I now have some info on my iPad, some on my phone and so on. Reaching out to the developer is a total waste and no one responds. Sorry but I’ll have to seek an alternative. I knocked off 2 stars because it hasn't been updated since November 2015 and doesn't show up anywhere on developer website. I haven't used the drop box sync but read that it doesn't work. Nightly iCloud backups seems to have saved my bacon. I am most concerned that appxy no longer lists this app anywhere on their website. It seems to function well enough under ios 10 but I am worried about future iOS updates.